The two people who died when a van they were travelling in collided with a tree on Eastbourne Road, Ridgewood, Uckfield, on March 12 have now been named. 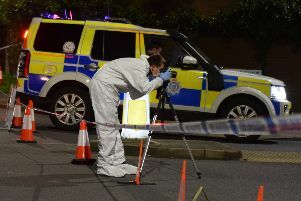 The driver was Sean Donaghy, 22, from Eastbourne Road, Uckfield, and his passenger was Amy Novkovic, 27, from Selby Gardens, Uckfield. Sergeant Alan Spicer said: “Sadly both the driver and his passenger died at the scene and the road was closed for a number of hours while emergency services were on scene.